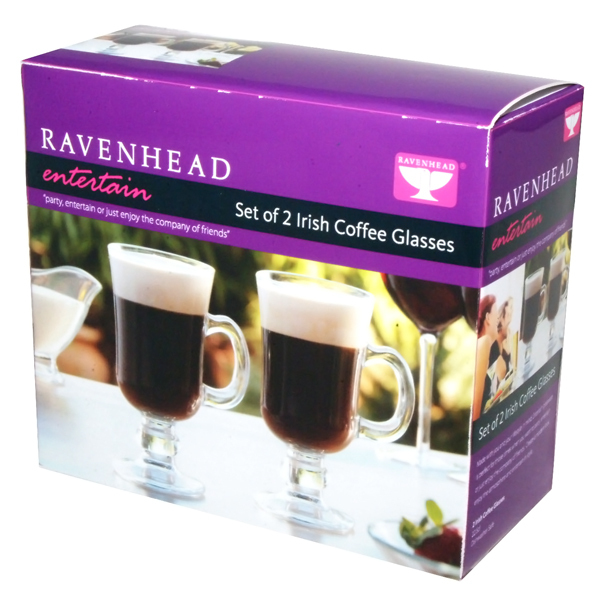 Enjoy a warming beverage in the company of friends and family with the Entertain Irish Coffee Glasses. 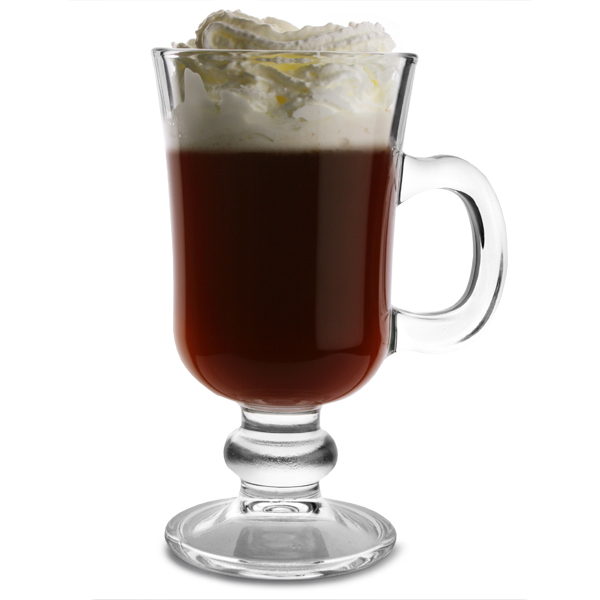 Perfect all year round for a creamy coffee with a kick of whisky, these traditional style glasses feature a glass handle and stem. "Irish coffee is not something you do every day, and so most people don't buy Irish coffee glasses at all. 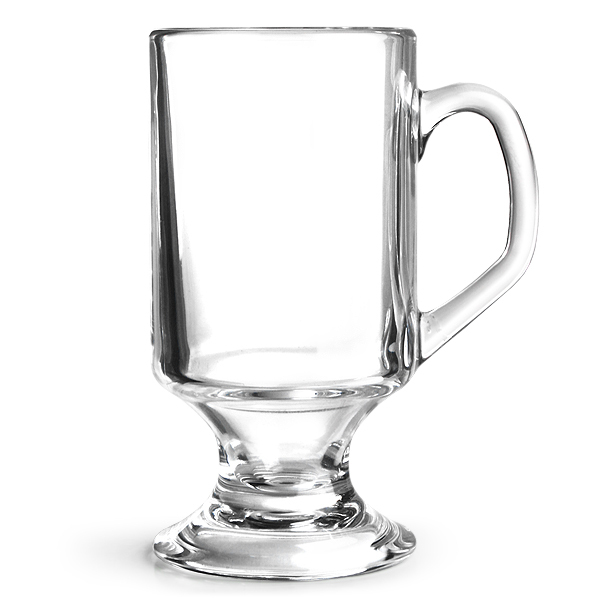 But I found these, just 2 of them, and at a very good price. 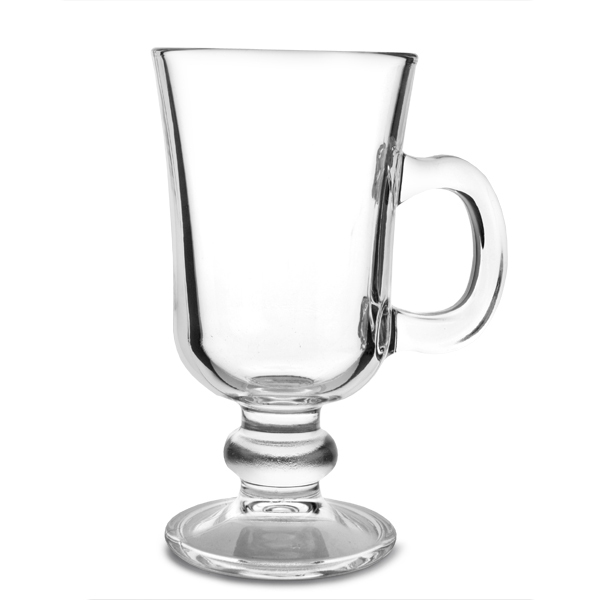 They're very nice, with a "classic" shape and a comfortable handle... serving the occasional Irish coffee will have much more style now!"